Whenever anyone is asked to describe a Mazda, two descriptions are apt to come up: fun to drive and great gas mileage. 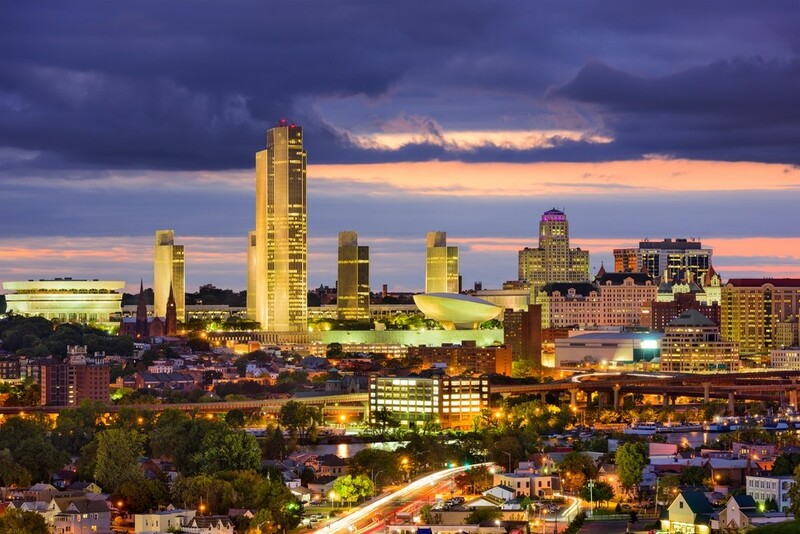 Our Albany, NY drivers will be attracted to this combination at our DePaula Mazda dealership in Albany NY. Besides, our award-winning DePaula Mazda management team has heard another description of our Mazda models: well-built quality vehicles. DePaula Mazda offers both new and pre-owned and certified pre-owned vehicles at our Albany dealership. The Mazda brand builds affordable cars that also offer thrilling performance. Mazda’s investment in new development has produced popular models such as the Mazda 2 and CX-9, as well as the RX-8. Both the Mazda 3 sedan and four-door hatchback deliver sharp handling and an engaging nature. Drivers find this Mazda model to be a practical, affordable runabout. Its new model features an extraordinary interior quality and even better fuel economy. It’s been called an impressive, versatile, and classy vehicle. Our 2017 model has restyled front and rear fascias, while the interior has a new steering wheel, an updated dashboard design, added standard equipment, bigger door storage pockets and a new electronic parking brake. Mazda has also added G-Vectoring Control to this model, which the brand says can improve handling. And, its retuned suspension provides a smoother ride. If you’re in the market for a small subcompact SUV, Mazda offers the five-passenger CX-3 SUV. Its owners praise this Mazda model for its excellent fuel economy, sporty handling, an impressively quiet cabin at highway speeds, comfortable and supportive front seats, and attractive, high-quality interior with appealing features. Every CX-3 comes with a touchscreen infotainment interface. What’s more, this Mazda offers advanced collision avoidance features on the top Grand Touring trim level to help keep you and your passengers safe. Ever since it debuted in 1990, the Mazda MX-5 convertible has continued to maintain its popularity. Owners appreciate its superb handling, and inspiring growl when the inline four-cylinder engine accelerates. The MX-5 boasts a modernized equipment roster, including an available infotainment system with a 7-inch touchscreen and an interior trimmed out with high-quality materials. For those seeking an affordable sports car that provides plenty of top-down, open-road thrills, we believe you should take the Mazda MX-5 out for a test drive. If you’re in the market for a certified pre-owned Mazda vehicle, our DePaula Mazda dealership has a variety of models to choose. Pre-owned Mazda vehicles are built with a host of desirable features that come standard even on the base model, such as power locks and windows, 12-volt power outlets and auxiliary input jacks, along with stability and traction control systems. You’ll also be pleased with the durability of a pre-owned Mazda. Mazda vehicles have a well-known reputation for standing up to the test of time through their advanced systems and quality craftsmanship. In fact, the Mazda3 was ranked as a top compact car for residual value for 2014, and the MX-5 Miata was recognized as a top compact convertible for the same year. At DePaula Mazda, we choose the best-maintained late-model vehicles to become Mazda Certified Pre-Owned Vehicles on our lot. To be eligible, these vehicles must pass a rigorous 160-point inspection. From major to minor components, each vehicle is scrutinized and tested to make sure it meets the highest standards. This will allow you to drive your pre-owned Mazda with confidence. Once you’ve chosen which Mazda vehicle you’ll be purchasing, our new and used automotive financing experts will be happy to walk you through the financing process and become your auto loan and car lease resource. 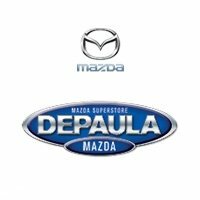 At DePaula Mazda, we offer competitive financing rates and terms on our great selection of new and used trucks, cars, and SUVs. Regardless of your credit score, DePaula Mazda will work hard to get the best financing for your situation. Our friendly financing staff will use all of its resources to crunch the numbers and make the financing as easy as possible. We’ll find the best loan possible to make you feel comfortable. Mazda offers a variety of incentives as well to help you receive the lowest price possible. When you’re ready to get started, you can begin the process in the comfort of your home by going online to our secure finance application site. Perhaps you’re in the market for an affordable gift for a new grad. Or perhaps you need a second car to drive outside of Albany onto back country roads. We suggest either the pre-owned 2012, 2014, or 2015 Mazda 2 Touring vehicle or pre-owned 2015 Mazda3 iSport. The Mazda 2 four-door subcompact hatchback is a popular pre-owned vehicle because it combines an increased emphasis on fuel economy and the need to drive a small, yet sporty vehicle. The Mazda 2 is perfect for students, new grads, and those who are watching their budget to drive to work or stop for errands. The vehicle made its debut in 2011. Prior to 2014, Bluetooth and navigation were not available even on the higher trim levels. The 2011 and 2012 cars also lacked a USB input for the sound system (they only had an auxiliary input). Another great choice is the pre-owned Mazda 3 Sport compact car. It offers its drivers precise handling, very good fuel economy, quick acceleration, top crash safety scores, a refined interior with intuitive controls, available hatchback body style, and many advanced features. And our DePaula Mazda dealership continues to grow. In early May 2016, DePaula Mazda purchased Orange Motors Mazda in Albany. This new Mazda dealership will add to our extensive offerings of popular vehicles. Please visit our newest location for a test drive at 799 Central Avenue right here in Albany. What can our Albany customers look forward to seeing at our Mazda dealership? Since Mazda Motor Corp. has been increasing global crossover production by 7 to 8 percent, there will be more of these models in our showroom. The all-new 2017 Mazda CX-5 crossover SUV should be arriving soon. It made its world premiere at the Los Angeles Auto Show in the fall of 2016. Its engineers have taken the KODO-Soul of Motion design concept to hone the car’s beauty, imparting a powerful combination of sophistication and strength. The Detroit Auto Show presented the 2018 Mazda CX-5 in early 2017. This new model features the long-awaited SkyActiv 2.2-liter turbo-diesel four-cylinder engine. This powertrain is operated exclusively by the company’s existing six-speed automatic transmission. Owners will also appreciate its better driver assist technology. This diesel model provides a marginally lower center of gravity and an additional 0.4 inch of track width increases its overall stability. Our Mazda fans are also highly anticipating the new 2017 Mazda MX-5 RF retractable fastback. It is built with a power-operated roof that slides the center roof piece away under the rear decklid. Under the hood, it offers a 155-horsepower 4-cylinder engine and either a six-speed manual or automatic transmission. Once you’re in the driver’s seat of your new Mazda, remember to keep either your new or pre-owned vehicle in its best shape. That means bringing it to our DePaula Mazda service department, where our focus is on customer satisfaction. Our service technicians are well trained and knowledgeable about your particular Mazda vehicle. Plus, our service department uses quality licensed parts from our large inventory that was built to the exact specifications of your vehicle. It is easy to schedule your vehicle’s tune-up through our online tool. Here you’ll find a variety of hours to accommodate the demands of your busy schedule. It’s best to take care of your new or pre-owned Mazda, no matter the season. After a long winter, your Mazda vehicle’s car cabin air filter has probably been put to the test. It has filtered all of the air that comes through the car’s HVAC system to prevent you and your passengers from breathing pollutants, such as dust, pollen, smog, and mold spores. Spring is a perfect time to replace that old air filter. Please visit our DePaula Mazda showroom to see our new and pre-owned and certified pre-owned vehicles at our award-winning Albany dealership.